Speaking with CinemaBlend’s Hannah Saulic, Adam Shankman revealed the studio is always looking for ways to continue stories through sequels. Well, that is if the original movie does well. While he wasn’t a producer on the movie this time around, he did say “in [his] head” he’s been mulling over a few things, including a sequel involving Sister. 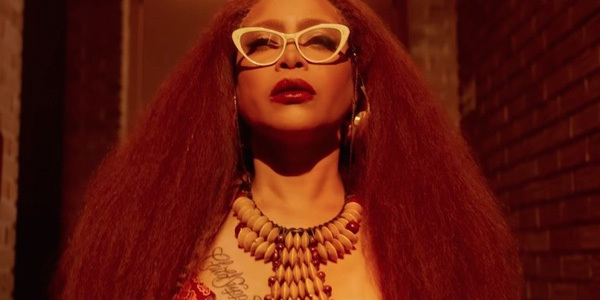 In What Men Want, Erykah Badu’s character is a psychic and maybe drug dealer who gives Taraji P. Henson’s Ali the tea that starts her on the long journey. Her tea doesn’t cause the gift, but it does cause Ali to get pretty effed up to the point where she hits her head which then somehow magically yields her the gift. Sister later reveals to Ali that she tried the tea herself, but that it didn’t work in the same way for her as it did for Ali. There’s no reason that the mystical and weird Sister could not really be the conduit for other characters to receive the gift in a follow-up. But don’t take my word for it. You can hear Will Packer and Adam Shankman talking about the potential from more in the What Men Want universe, below. Hearing thoughts is a power that can be good and bad. It’s a trope that has come up in other properties, from True Blood to Midnight, Texas. It will likely be a while before Paramount decided whether or not there’s enough of a reason to bring back What Men Want for a second round, but we’ll be sure to keep you posted either way. In the meantime, you can catch What Men Want in theaters and check out its competition at the box office with our full movie premiere guide.